Globalization and growth of FMCG has led to cut-throat competition calling for a rethink of FMCG operations. Ecosmob Microsoft Dynamics for FMCG industries solution helps chart their success. Elaborating on its capabilities as a Microsoft Dynamics consultant and the best one for FMCG industries, he went on to state that the company has acquired plenty of experience in the VoIP segment of its business. 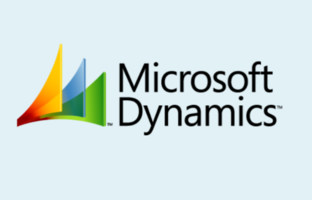 Further, its artificial intelligence and ML division as well as its loyalty experts group also provide synergy to its Microsoft dynamics solutions division. The division itself is staffed by certified and experienced Microsoft Dynamics qualified professionals. What all the background company strengths translate to is that Ecosmob is in a superior position to offer customized, artificial intelligence and machine learning infused IoT blends in their Microsoft Dynamics Solution for FMCG. “I must admit we are playing in a very crowded field where there are thousands of Microsoft experts but very few or none have what we possess by way of communications expertise, brand loyalty expertise, IoT integration with artificial intelligence and machine learning. We believe we take automation and intelligence in FMCG to a higher level with our specialized Microsoft Dynamics integrated development for FMCG,” he continued. FMCG industries, he went on, follow various models such as multiple manufacturing locations for various product lines, international network for procurement and supply and approaches to sales and marketing. Ecosmob customizes the ERP and CRM to suit FMCG client way of doing business and this is done after a careful assessment of their present operations. Where possible we include and integrate IoT for better automation and faster data gathering with reduced dependence on manpower. This is just one example. Blending together various models, incorporation of security and making it easy for employees to use the FMCG solution are other aspects the company takes care of in its approach to customized FMCG solutions based on Microsoft Dynamics platform. The topic is very complex and there are quite a few factors involved in Microsoft Dynamics development for FMCG industries. The company handles each client on a case to case basis for personalized solutions that drive maximum ROIs and efficiency in all channels. Interested FMCG industries are welcome to initiate a discussion through phone 91 79 40054019, 1-303-997-3139 or through live chat on https://www.ecosmob.com. Textile Enhancers impart fabric softness and fullness.